How Does It Affect China, the U.S. and You? ASEAN is the Association of South East Asian Nations. It promotes the economic growth of 10 countries located south of China. In 2016, its combined economies grew 4.8 percent. In 2017, its gross domestic product was $7.9 trillion. That makes it the fifth largest in the world. This was about a third of China's $23 trillion GDP. ASEAN members need this combined economic clout to compete with the world's largest economy. ASEAN's purpose is to form a European Union type of common market. The ASEAN Economic Community was established in 2015. It is working toward free movement of goods and services, investment and capital, as well as skilled labor. It will also create common standards in agriculture and financial services, intellectual property rights, and consumer protection. These are all necessary to attract foreign direct investment and promote growth. AEC has identified 611 measures it must implement to achieve its goals. Almost 80 percent of these measures have been completed. ASEAN is lowering trade tariffs on 99 percent of its products to the 0.5 percent. Rice is excepted since it is so important to local economies. ASEAN is working to make regulations and product standards uniform among the nations. The multilateral trade agreements between ASEAN and its neighbors lessen these countries’ need for the World Trade Organization. Communication among these long-standing enemies in the name of trade means that they realize the preeminent importance of economic prosperity for all, regardless of ancient grudges and even democratic principles. ASEAN has 10 members. 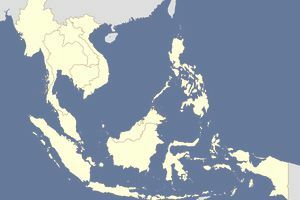 The two largest economies are both founding members, Indonesia and Thailand. The other eight countries hope to boost their much smaller economies by exporting to the markets of the larger countries. ASEAN was created on August 8, 1967, in Bangkok, Thailand. It was founded by Indonesia, Malaysia, Philippines, Singapore, and Thailand. On December 15, 2008, ASEAN approved a new charter, giving the organization status as a legal entity. All member countries must ratify it. ASEAN+3 is the term that refers to the countries of ASEAN plus China, Japan, and South Korea. It was formed in the aftermath of the 1997 Asian financial crisis. The East Asia Vision Group was formed to create a vision for cooperation among all 13 countries to prevent another crisis from happening again. Each year, ASEAN holds a summit hosted by one of its members. On April 28, 2018, Singapore hosted the 32nd summit. Members are concerned about China's threat to ASEAN countries' maritime rights in the South China Sea. China has been extending its reach by building islands. The South China Sea runs right through ASEAN's territory. It is a hotly contested group of tiny islands that are sitting on potential reserves of 5.4 billion barrels of oil and 55.1 trillion cubic feet of natural gas. It is also one of the richest fisheries in the world. Most important to the United States is the South China shipping lane. Through it goes half of the world's merchant fleet tonnage, representing $5.3 trillion in global trade. Of that, $1.2 trillion winds up at U.S. ports. In addition, one-third of the world's crude oil is also shipped through the Sea. On February 15, 2016, President Obama held a historic U.S.-ASEAN Summit. He committed to support ASEAN rights in the South China Sea. In 2010, former Secretary of State Hillary Clinton declared at the 2010 ASEAN Summit that the freedom of navigation through the Sea was of national interest. Many fear that rivalry over competing claims in the South China Sea could lead to armed conflict in the region. China is ASEAN's largest trading partner. In 2016, ASEAN countries traded $368 billion in goods with China. The European Union was second at $234 billion. The United States was third at $212 billion. The nations though are also wary of China's ability to dominate the area. They don't want cooperation to lead to their absorption by their neighbor.